Welcome to the Hematology/Oncology Fellowship Program, where fellows are fully integrated into the Division of Hematology, Medical Oncology, and Palliative Care, with access to world-class clinicians and researchers. Read the program director's welcome. Our mission is to train hematologists/oncologists who are ready to practice in any environment by providing exposure to excellence in clinical care and research during their fellowship. Work closely with nationally-recognized UWCCC physicians who see 30,000 patients per year at the highest-ranked hospital in the state. Staff your own panel with members of the teaching faculty at the adjacent William S. Middleton Memorial Veterans Hospital. With a teaching faculty to trainee ratio of 4:1, fellows are fully integrated into the Division of Hematology, Medical Oncology and Palliative Care, with access to world-class clinicians and researchers. In the past three years, our program has collaborated with the medicine residency program to successfully recruit future clinician scientists through the Internal Medicine Pathway for Academic Career Training (IMPACT Program). Currently we have three trainees in that program, with two more entering in 2018-19. Joining IMPACT gives you a tremendous opportunity to jumpstart your research careers during your fellowship training. Talented mentors and protected research time in the IMPACT program ignites interest in scholarly work, and we have already seen that our fellows’ research success is inspiring to the rest of the team. Both the UWCCC and Hematology/Oncology Fellowship Program leadership are committed to the research success of our fellows. We are in the process of formalizing a research curriculum for our IMPACT candidates. Opportunities for practice improvement in a our health care delivery system are clear. We are applying QI Principles to our UW Health and Veterans Association (VA) practices. Our emphasis thus far has been on making sure the chemotherapy ordering process is as secure as possible within the inpatient and outpatient realms. We have successfully piloted and presented data regarding reflex testing for HBV with rituximab, bone mineral density testing for patients with breast cancer, and are developing a QI curriculum surrounding the ordering and follow-up of patients receiving oral chemotherapy/targeted therapies. The UW Hematology/Oncology Fellowship Program is fully accredited by the Accreditation Council for Graduate Medical Education. This fellowship fulfills the requirements for Hematology/Medical Oncology training as stated by the American Board of Internal Medicine. Fellows are eligible to take the American Board of Internal Medicine subspecialty examination in Hematology and Medical Oncology upon completion of their fellowship. Since its inception, the hematology and oncology fellowship program at the University of Wisconsin has produced leaders in the fields of hematology and oncology. Our graduates include pioneers in research and thought leaders in gastrointestinal cancers, breast cancer, and thoracic malignancies. Our bone marrow transplant program is one of the first and most successful in the country. Since its inception through 2017, the UW Hematology/Oncology Fellowship Program has trained 145 fellows. 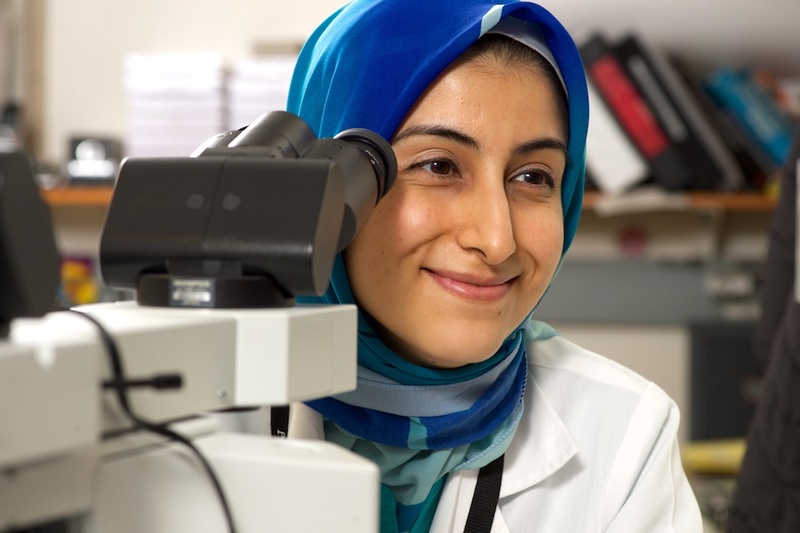 The goal of the University of Wisconsin-Madison Hematology/Oncology Fellowship Program is to attract and train medical residents from a diverse set of medical school and residency programs who have demonstrated excellent humanistic, academic and scholarly skills. We plan to train learners who will attain the professional, personal, cognitive, and technical skills necessary to provide patients with cancer or blood disorders with competent, compassionate, and patient-centered care. Fellows have opportunities to learn and practice patient communication and shared decision making and to apply current evidence-based knowledge to provide optimal care reflecting the patient’s goals and values. Fellows are given frequent, constructive guidance and paired with formal mentors to develop their clinical skills, achieve scholarship, and complete the prerequisites needed to sit for boards and compete for jobs in all aspects of Hematology/Oncology. Our fellows learn how to problem solve and continue the process of self-directed life-long learning. Fellows are taught to assess patient outcomes in order to improve future decision making and guide practice management. The aims listed below are achieved through a required set of rotations, a didactic curriculum paired with online reading lists, and a self-tailored set of electives. Our fellows, faculty, and program are continuously evaluated to ensure success in achieving these competencies, goals and objectives. Attract and train medical residents from a diverse set of medical schools and residency programs who have demonstrated excellent humanistic, academic and scholarly skills. Train learners who are competent to care for patients in all stages of cancer and blood disorders. Fellows will provide consultation on risk reduction, prevention, and adjuvant, curative, and palliative uses of chemotherapy. The fellows will learn to develop evidence-based, patient-centered and tailored treatment plans appropriate to the individual goals of the patient. Instruct learners in the ability to investigate and evaluate the care of their patients, to appraise and assimilate scientific evidence, and to continuously improve patient care based on constant self-evaluation and life-long learning. Develop interpersonal and communication skills of the fellows that result in the effective exchange of information and collaboration with patients, their families, and health professionals. Instill a commitment to carrying out professional responsibilities and an adherence to ethical principles. Create awareness of and responsiveness to the larger context and system of health care, and the ability to call effectively on other resources in the system to provide optimal health care.